In the Serbian capital Belgrade, thousands of people went out on the streets Saturday night to protest against the government. It is the fourth sequential Saturday that it was demonstrated. It is estimated that 20,000 people joined in a protest march through the centre. Both left and right opposition parties called on supporters to demonstrate. 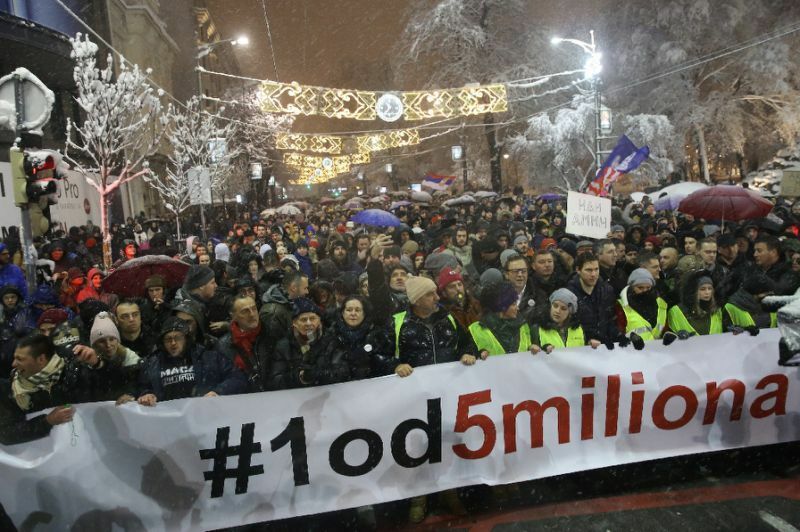 The protesters are taking action against the government of President Aleksandar Vucic. Under his leadership, violence against critics is permitted, according to them. The president was denounced by the protesters for the thief. It was demanded that there would be more press freedom and that journalists and opposition members would no longer be mistreated.